An easy day trip to any ages and an all-time favorite for families. In this trip, you not only have the chance to get real close to marine turtles in their natural habitat but also can spot other interesting fishes. We often see rays, squids, moray eels and reef fishes on this trip. 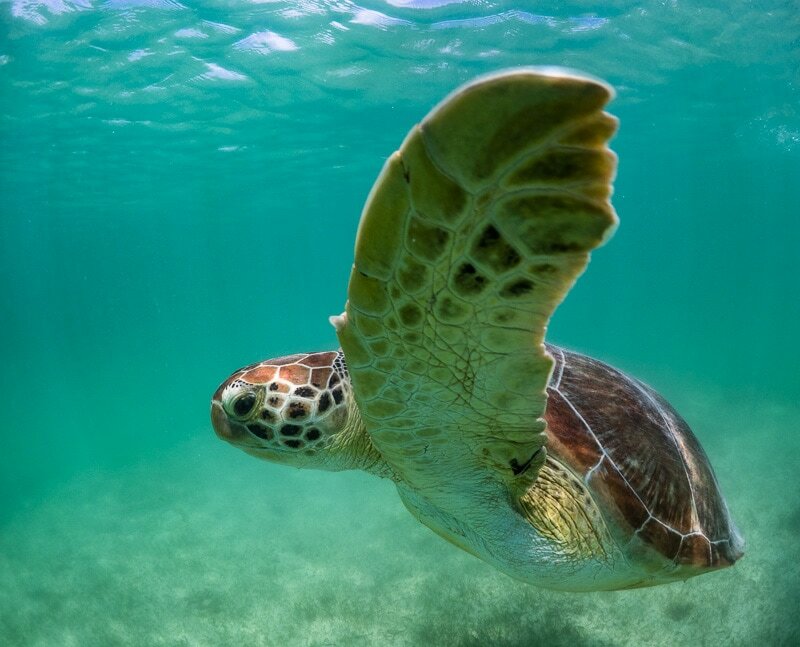 It is hard to imagine before the trip, but you will be snorkeling among many different turtles, small ones and bigger ones. They are feeding in the area and usually completely ignore you, so they can get really close, just check out our photos. After the snorkel with turtles in Akumal, we will also visit a cenote, a freshwater sinkhole where further adventures await. These places were sacred for the Mayans and are amongst the most popular sites for today's visitors for a good reason. 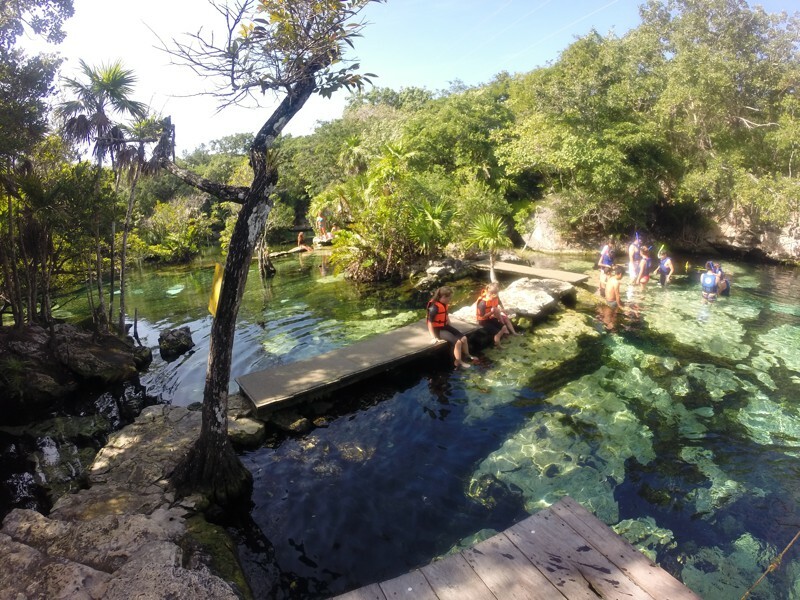 The water is crystal clear; you can see fishes, amazing birds here and don't forget the fantastic rock formations, stalactites, and stalagmites. An extraordinary place. Many companies offer tours to Akumal to see the turtles. So you have to choose if you are willing to pay the extra to be in a smaller group and to make sure everything in this tour is prepared in a way to help the turtles and nature, we are your company. 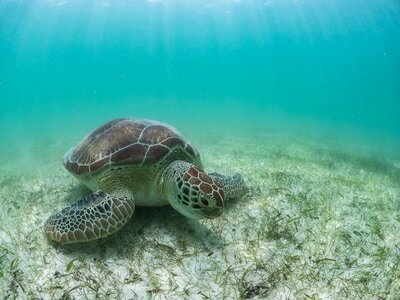 Our guides are within the few who are actually certified by the Ecological Centre in Akumal, and they will follow all the regulations which are put in place to protect the ecosystem and of course the turtles within. We do not allow the use of sunblock, we do not get too close to the animal, and of course, you will never chase, bother or touch any of the turtles on this tour. - 09:00 am Swim and snorkel in the real natural wonder of a Cenote. These freshwater sinkholes have the most transparent water with amazing rock formations and unbelievable light-effects. - 10:30 pm After a professional briefing you have the chance finally to snorkel with sea turtles. 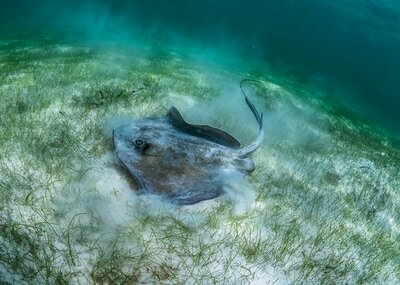 Spend an hour around these fantastic peaceful creatures. - 12:00 pm Transfer back to your hotel. 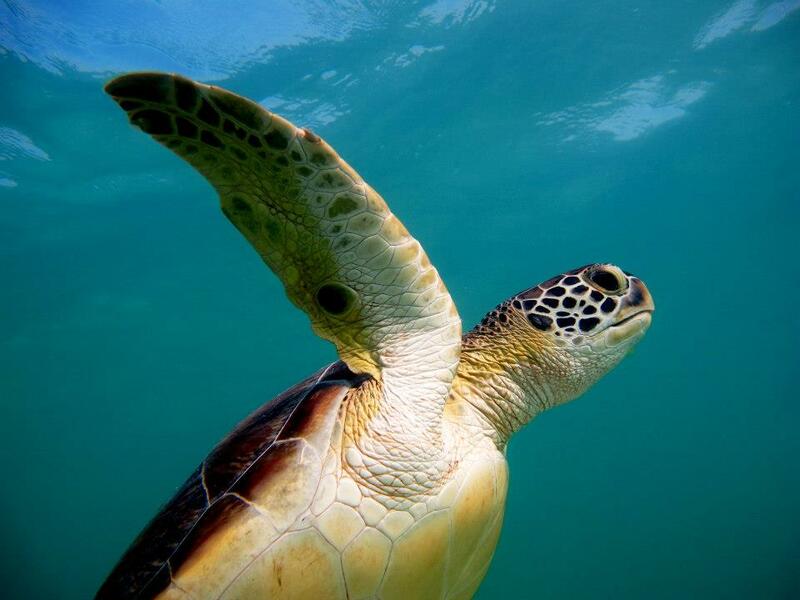 There are very few places around the world where you can swim with marine turtles only a few meters from the beach. Akumal Bay in the Riviera Maya is one of these blessed spots… I have seen turtles while diving in many places, but Akumal is an extraordinary place. Akumal (which means ‘the place of turtles’) is a bay located south from Playa Del Carmen. The bay is the home of around 50 Green Turtles that live their childhood/teenage in the bay, feeding happily on the abundant seagrass. Before getting in the water with these charming creatures, you will learn a bit more about them to value the conservation efforts made all around the area. We want to make this experience a rich encounter where you will discover how sensitive animals they are, how severely you can harm them if you don’t pay attention and how lucky you are to be there! Some of the most important rules you learn before any contact with the turtles will include the following. No touching or teasing them, giving them plenty of space to eat and to surface for breathing, never use sunblock or any chemical before jumping in, keeping your fins up on the surface at all times, no flash on your photos, and so on. Time to get in the water… it feels surreal to get in there and sometimes in less than a minute, and extremely close from shore… you have your first sighting… Speechless! 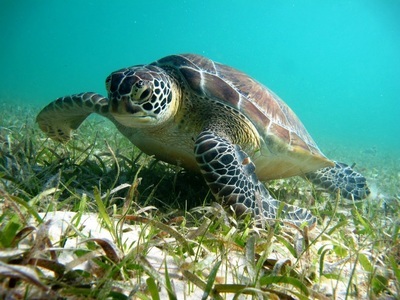 It’s a Green Turtle munching on seagrass, entertained and happy… you check out her rhythm, her legs that move so natural in the water… you get water in your mask after smiling so much…! It’s all ok. Nothing can take your mind out of that special moment when she decides to come up for a breath… looking at her from a reasonable distance… you follow her soft swim up until her cute head pops out of the surface to breathe… in half a second she is already heading down for more yummy salad! As you continue along the buoy marked channels of the bay open your eyes… might have more guests to the party. Spotted Eagle Ray swimming by, with no rush… follow her spots, her long tail, and her beautiful flying movement… then, more turtles! You get closer to the coral reef where you can see a couple of squid swinging by, reef fish, some coral patches… and more turtles… different sizes, rhythms… but all delightful. Slowly swim your way out of the water, can’t erase the smile. Time to talk about the experience while walking back on the beach... How many turtles did we see? Vivid images that will remain forever. Recalling how sensitive animals they are, and savoring how lucky we all are.